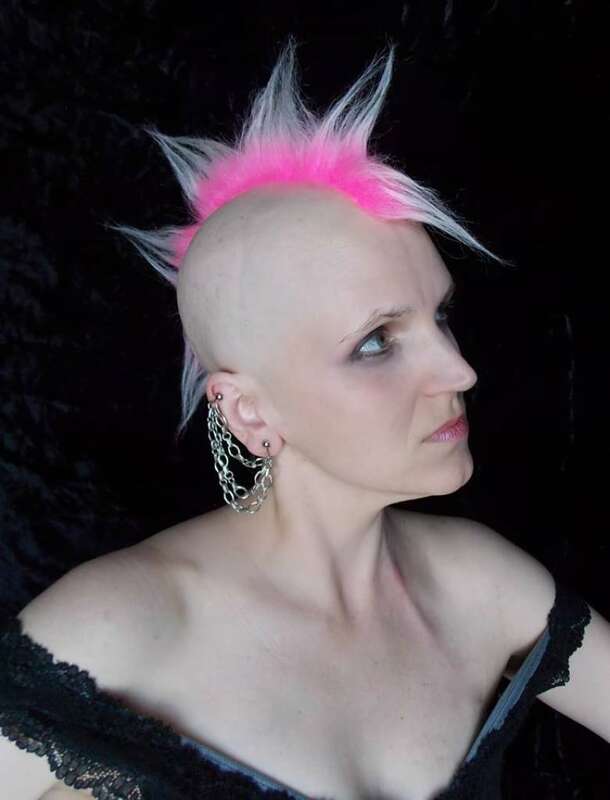 When Kari Lynn Hewett was diagnosed with breast cancer in early 2017, she worried about how it would affect her identity. "I had just moved to Leamington, Ont., and I really didn't want to give the impression to everyone I had just met that this was the 'sick girl'," she said. She also wanted to be honest about her situation. 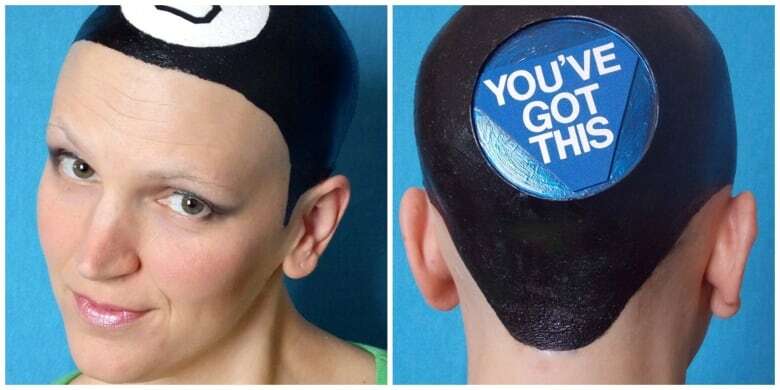 But going through chemotherapy and losing her hair wasn't easy. "When the hair comes out there is no denying that this is what I am going through." It was in that dark moment, alone with her failing health, a newly bald head, and a camera, that Hewett had an idea. 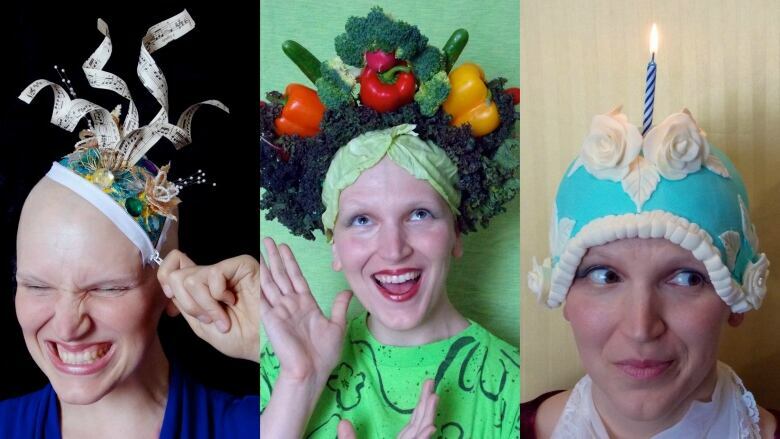 She decided to take photos of herself with stuff on her head and post them online. "One day I was sitting in my art studio, hooked up to an IV pole — a bag full of saline and gravol to keep me from being sick," she recalled. "I was surrounded by all of my arts and craft supplies." "I started by sticking some faux fur on my head in a mohawk." "Then another day I stuck some buttons to my head." 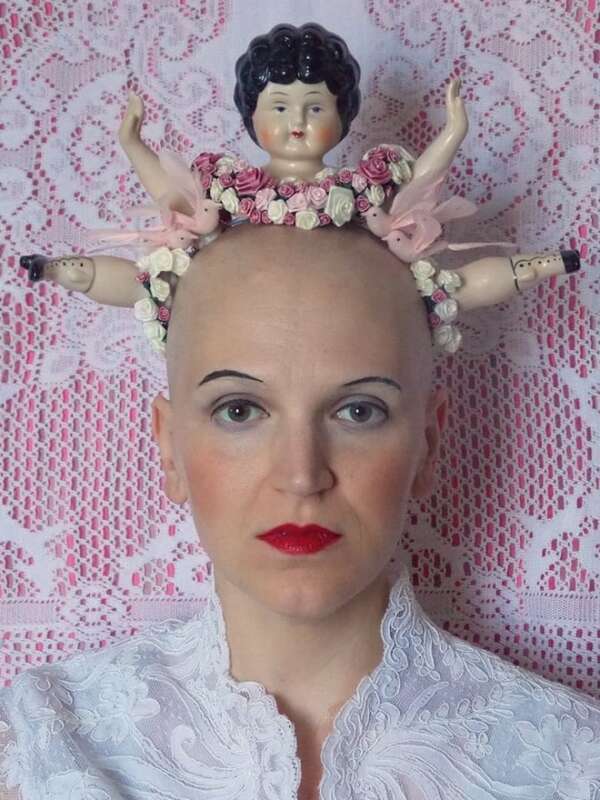 She even made a head band using various doll parts. As soon as Hewett starting posting photos on her Facebook page, people began reacting, even sending her requests — including one from a friend who lived on a farm. "I made a little sheep out of cotton balls," she recalled. "I put it on a hillside, created a little clothesline. 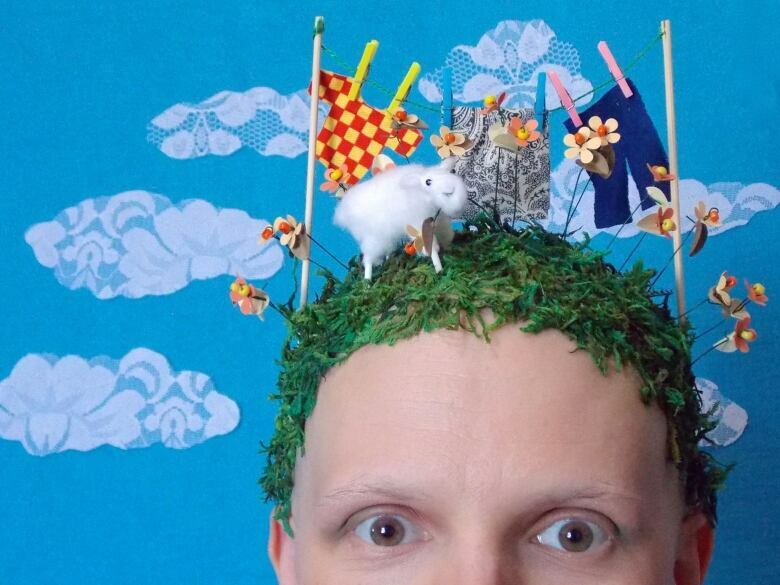 The sheep was eating little flowers off of the grass on my head. That was a lot of fun." For Hewett, doing this was a much-needed distraction while she was going through her treatment. "I could focus on my humour. I could focus on my aesthetic sense. I could focus on my social connections that were being bolstered through the interactions over this whole thing." 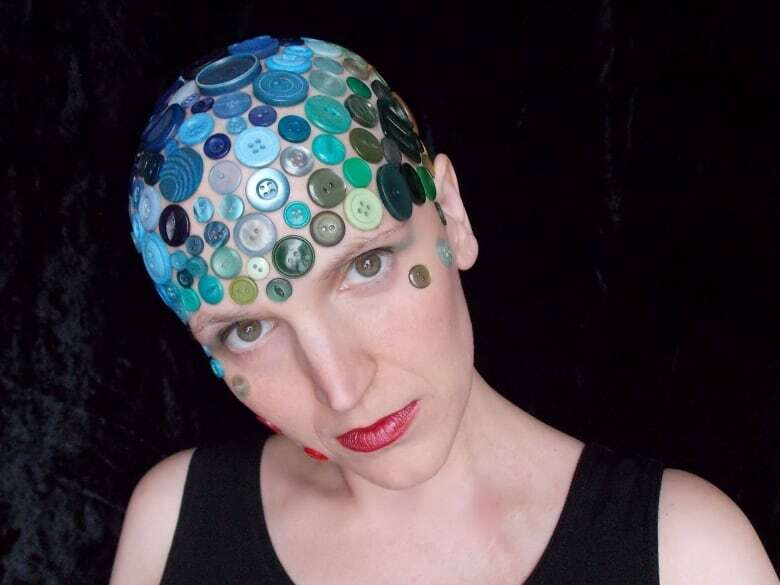 Even though her hair has now grown back, Hewett would like to connect with other people who are going through the experience of chemotherapy and find themselves struggling with identity issues. "What are the parts of them that this chemo is not going to take away?," she wondered. "What are the things that they need to focus on, [what is] an image that would help them hold on to things so that they could come out the other side feeling the way that I do?" Have you lost your hair during chemotherapy? To reach Kari Lynn Hewett, visit her website.